The new Digital Loudspeakers Controllers of Tecnare Sound Systems are a high performance and user-friendly signal processors for loudspeaker system. The DP-Series supplies generous amounts of signal processing capability and a wide variety of crossover shapes. The Hardman high-pass and low-pass filter are particularly avantgarde and enable the use to do very selective cuts (with high slopes) without introducing phase rotation, thus allowing the design of very accurate crossovers. 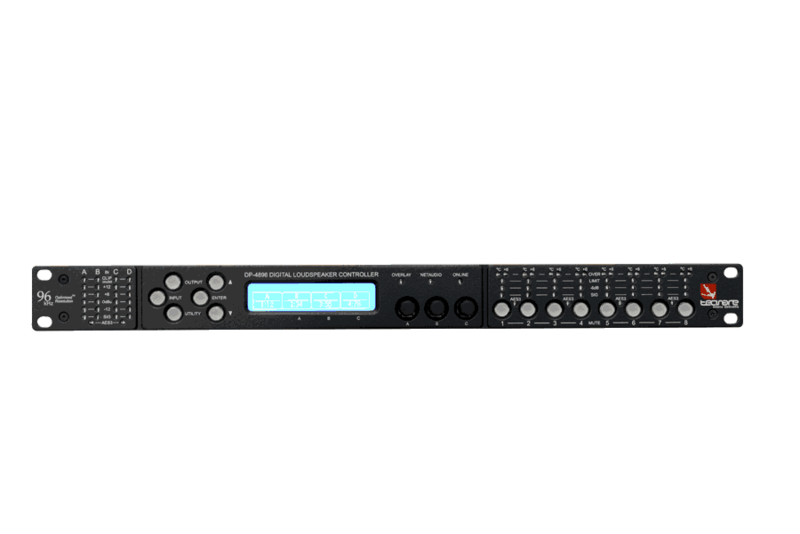 The Tecnare DP-2696 Digital Loudspeaker Controller represents current state-of-the-art technology. Taking advantage of the latest advances in analogue to digital conversion and digital signal processing technologies, these processors offer top-of-the-range professional performances. 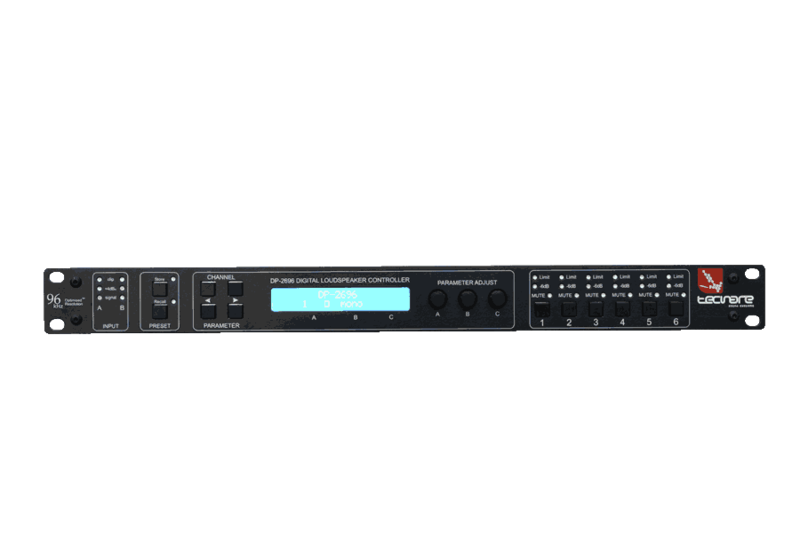 The DP-4896 Digital Loudspeaker Controller takes audio performance to the next level with new audio converters and advanced DSP algorithms that make full use of the processing power offered by the latest 4th generation SHARC DSPs.